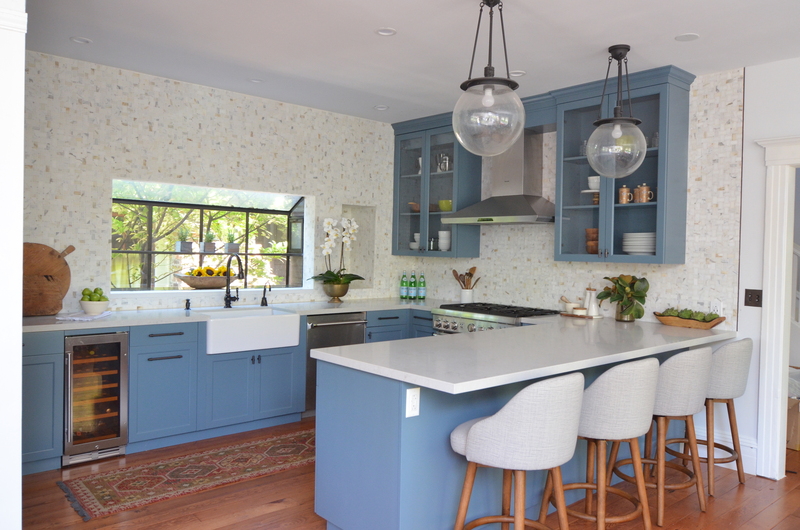 The clients of this Berkeley kitchen renovation trusted us to help achieve their goals. 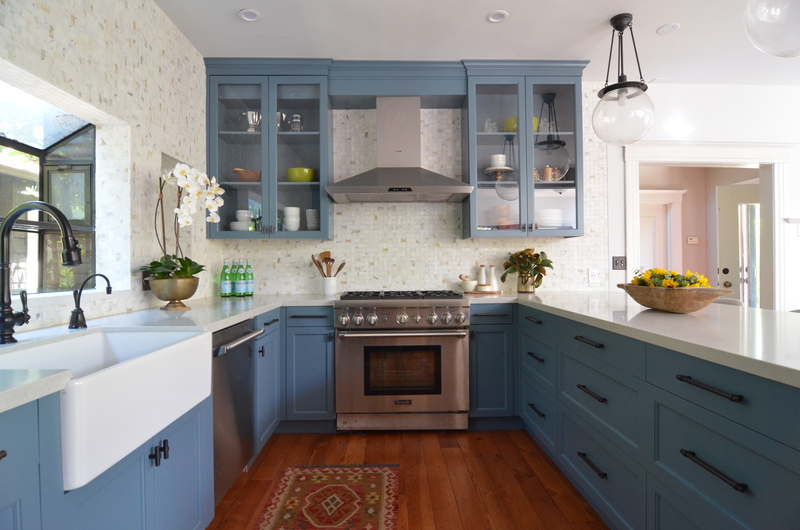 They wanted a timeless and classic kitchen but were also open to color and various textural elements. 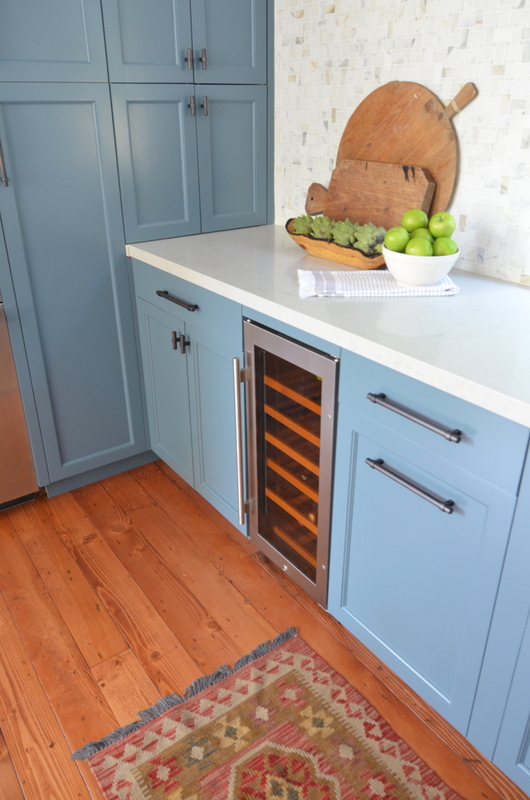 The cabinets are the main highlight of the kitchen, they are the most beautiful creamy blue from Benjamin Moore. They make a bold statement, but are not overwhelming. No good after picture is complete without the ugly before pictures. 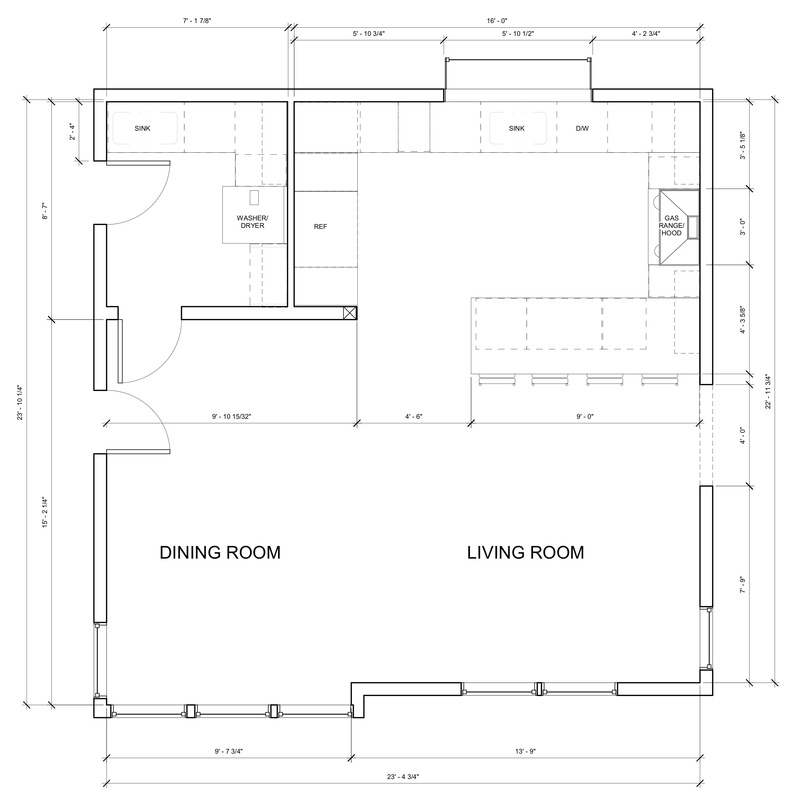 We did some serious work with the floorplan. The wall and fireplace were removed to open up the space. We moved the refrigerator out of the dungeon (all alone by itself) and created a fully integrated pantry. So let's talk about some of the details. The backsplash is a gorgeous Calcutta gold marble basketweave and was the true star of the show. 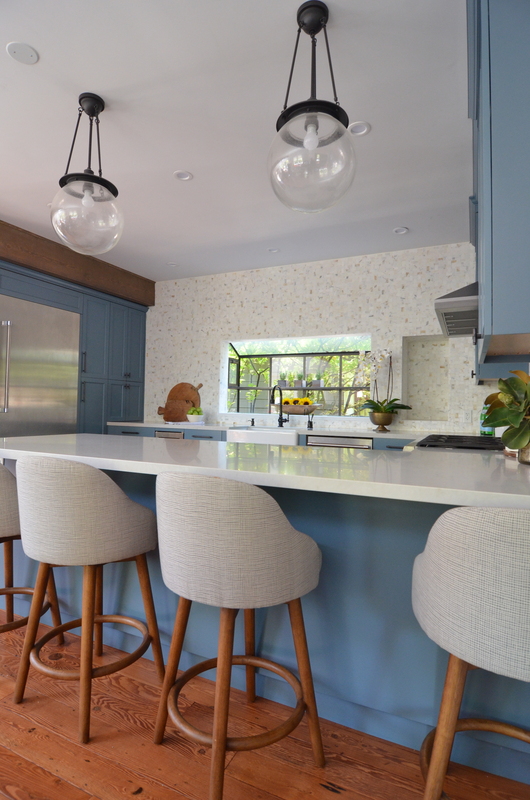 The countertops are quartz - chosen for durability and consistency of color. 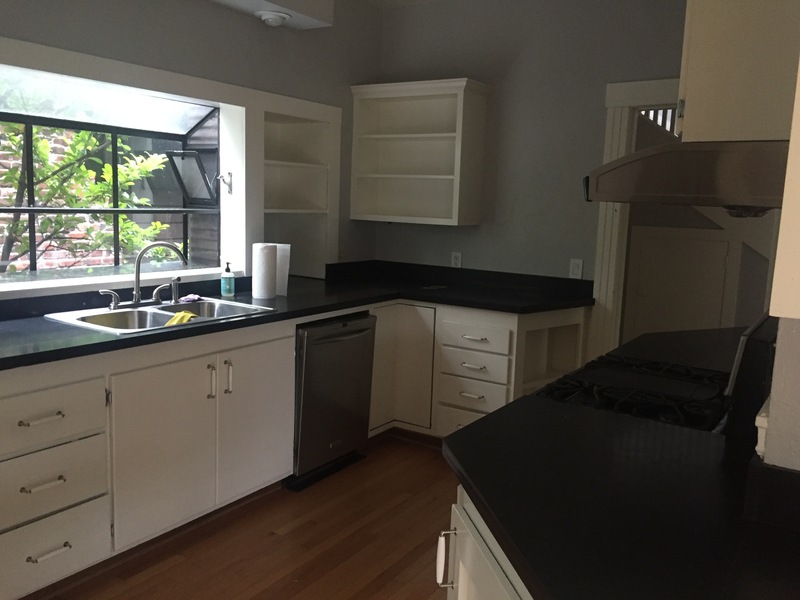 We decided to keep the countertops white to complement instead of compete with the cabinets and the backsplash. 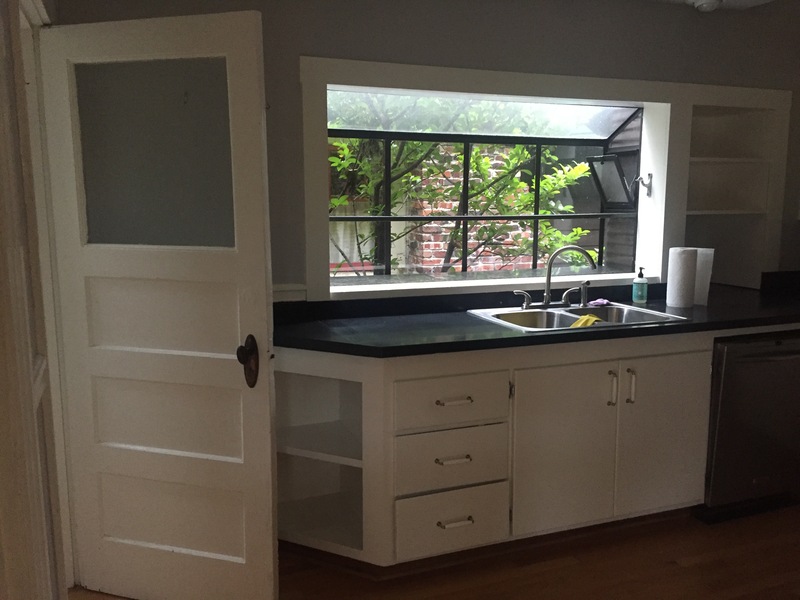 This older Berkeley home had amazing wood floors, they just needed a little TLC. 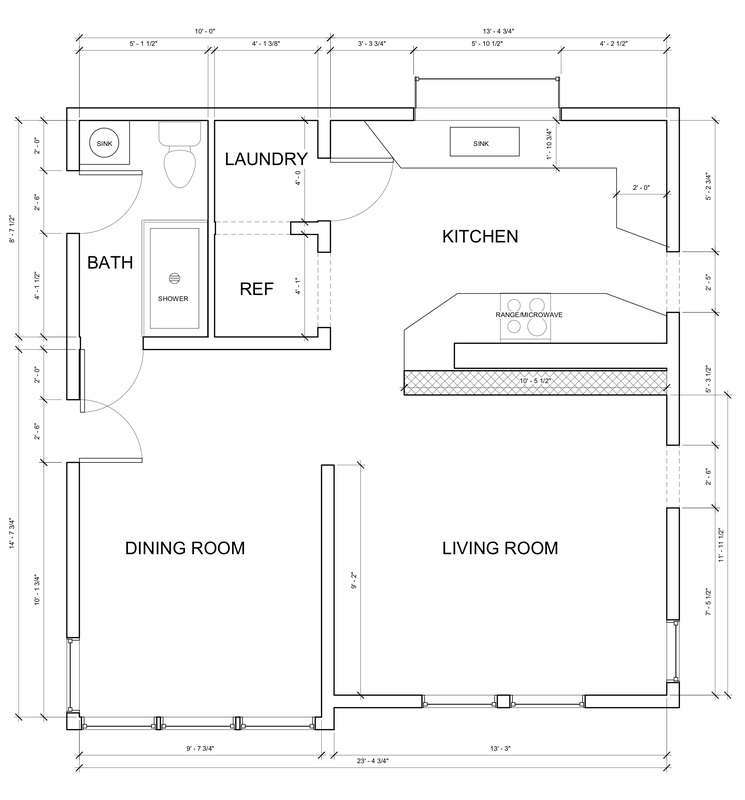 Instead of replacing the floors, we refinished them, keeping the natural charm of the home. 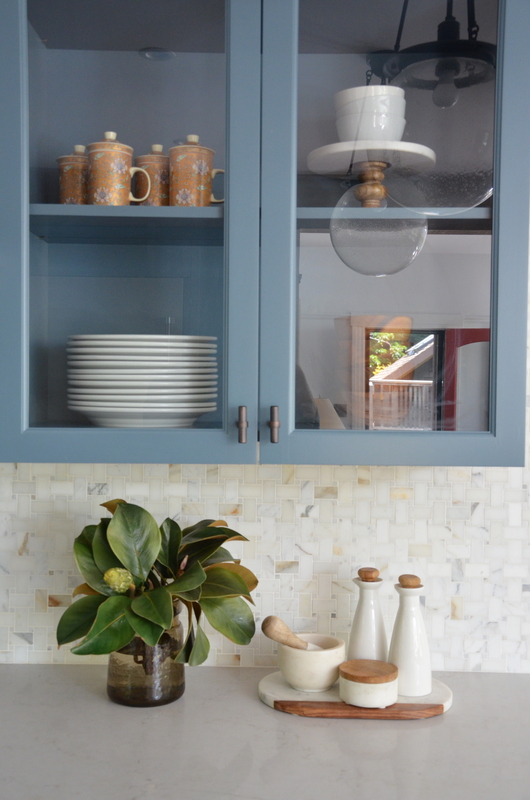 We LOVE this kitchen - it seems classic and simple but definitely not boring!